Before you go into any Professional Disc Golf Association affiliated event or tournament, it is your responsibility to read and be familiar with The 2018 PDGA Official Rules of Disc Golf and Competition Manual for Disc Golf Events (which are combined). This two-sided booklet is available from the PDGA website to print, purchase or view online (www.pdga.com). Your local disc golf retailer may also carry them. Here’s a “newbie” friendly look at what to expect for your first tournament and where to find more information. It’s likely you may play with more experienced tournament players, in which case, don’t hesitate to ask them questions. What should I wear? What can I bring? How should I act? You must wear shoes of some sort and a shirt at all events. In general, your appearance should be neat and clean. There are rules that apply to all major events and are recommended by the PDGA for all other events but remain at the discretion of the event director. You are expected to be courteous and attentive to your game and that of your cardmates. Watch your own and others’ throws both to locate them more easily and to protect your cardmates and others by watching for flying discs nearby (“FORE!”). For players or caddies, animals are not allowed at PDGA events. You are not allowed to use of drugs, including marijuana, regardless of local or state laws, nor are you allowed to drink during any part of your round(s) between the two minute warning and when your card is turned in. You are not allowed to drink alcohol to excess at the tournament site. If you smoke or use tobacco products/e-cigs/vape, your card must agree to that and this is prohibited entirely at Major events. These rules also apply to any caddies and players are responsible for the behavior of their caddies.  Consult the Competition Manual (for Disc Golf Events) Section 3 for additional information about dress and behavior and section 812 in the Official Rules (of Disc Golf). *Do we still play even if there is bad weather? The answer is almost always yes. Sometimes there will be weather delays and, rarely, cancellations. For additional information, consult the Competition Manual section 1.07. *What do I do when I arrive? Arrive early for check-in and the player’s meeting. Check in at Tournament Central. If you are playing a “shotgun start” where all players start at the same time, there will be a board numbered 1-18 (to coincide with your assigned first hole). This contains the names of all players in the event/pool. Your name will be grouped with other names under a number and an official scorecard. If your name is the first name in the group/on the card, it is your responsibility to get that card and begin the scorekeeping for your group. The “card” refers to both the physical scorecard and the people in your group. *It’s time to tee off. What do I do? Who throws next? Go to your assigned teepad and wait for two horn blasts and/or people yelling “two minutes!” Refrain from any further practice throws and make ready to play. There will be a long blast when it’s time to start. High five your opponents—most fun wins! You will tee off in the order that is written on the card, initially. You have two minutes to throw your first tee shot of the round and thirty seconds for any shot thereafter (don’t worry—thirty seconds is longer than it sounds!) After all players have thrown off the teepad, the person whose disc is farthest from the target is next and so on until you reach the target. Sometimes, for pace of play, a person who is not next in the throwing order may throw if the player who is to throw next agrees or if it will not affect the player who is next. Wherever your disc has landed is the lie (at the start of each hole, the teepad is your lie). If you are using a mini marker (required should you want to pick up the thrown disc), place your marker disc on the front edge of your disc. You must have one supporting point in the area of your lie at the time of releasing the disc, even if that is near a permanent obstacle, in an awkward stance or you are doing a “run up”. If you would prefer to play from your previous lie after a “bad” throw, you are allowed to do so with a one stroke penalty. Sometimes this can save you strokes, depending on your lie and abilities. Stay back from other players as they throw. You must complete every hole on the course. For more information, consult the Offficial Rules Sections 8002, 807 and 811. *How are scores kept? What is the order after each score is taken? Each player is responsible for keeping score for a part of the round, which is roughly the number of holes divided by the number of people on the card. Alternately, if a player or a caddy volunteers to keep score for the entire round and all members of the card agree, this is okay too. When it is your turn to score, you will say the hole being scored and the name of the person at the top of the card. They will state their score (including any penalty strokes) and you write that down and move to the next person and so on. Then you state the order of play for the next hole. Whoever had the lowest score on the last hole will start the next hole and so one. Ties do not change the order, so if two people tie on a hole, the order will be the same as the previous hole, and may go back several holes depending upon the round. Don’t worry if you don’t get the hang of it right away, someone will help you! *If something is in the way of my throw or my stance, can I move it? If it is a permanent or integral part of the course, no. If is is moveable and not attached to a permanent part of the course (i.e. a broken limb which is not attached to a tree) it can be moved. It is also acceptable to ask people to move their property, including vehicles. You are not allowed to break branches or damage flora. For more information about this topic and much of the following, consult the Offficial Rules Sections 803-806. *I keep hearing terms and I’m not sure what they mean. Help me out! Out of Bounds, AKA OB—An area designated as not in play, and thus out of bounds. This would also include most bodies of water. In order for a disc to be OB, it must be completely surrounded by out of bounds or there must be clear and compelling evidence it landed out of bounds (such as if the card sees it go into a pond). Mandatory (or “Mando”)—A designated and marked obstacle that dictates the route your disc must take on a specific portion of the course. There is a perpendicular plane extending away from the obstacle and your disc must be on the designated side of the obstacle before the plane is crossed. Drop Zone AKA DZ—Designated area of a hole designed for rethrows, typically when a required route or lie is missed. Relief—Distance you are allowed to take away from an OB line, certain objects, etc., with or without a penalty depending upon the sitiuation. *My disc landed in a tree. Now what? Mark your lie directly below where your disc is in the tree and play from that lie without penalty unless a two meter rule is in effect, which is rarely used and must be declared by the Director beforehand. *I threw my disc and we can’t find it. Now what? A disc is declared lost when every member of the card has begun searching for it, someone has stated clearly that the clock has started and is counting to three minutes (cell phone, counting out loud etc), and the disc is not found when time is called, even if later found. If the disc is declared lost, the player returns to their previous, approximate lie as agreed upon by the card and throw with a one stroke penalty. If the disc is lost off of the teepad, the player must re-tee because that was the previous lie. *I got a penalty stroke for a violation and I don’t agree with my cardmates. What do I do? If there is any dispute by your cardmates about a call and there’s a chance the player is safe, such as in a very close OB call, the benefit of the doubt goes to the player. However, if you incur a penalty after the cardmates have agreed a violation occurred and you disagree with the call, you can declare your intent to appeal to an event official and take a “provisional” and play the hole out as your cardmates would have you as well as how you believe it should be played/scored differently. Wait until you turn in your card or are able to speak to an official for a ruling and the proper score can be recorded. *What if I witness or suspect a violation? In disc golf, the responsibility lies with the player and the player’s card to enforce the rules. Therefore, it is acceptable to immediately, politely and directly address it with that person. 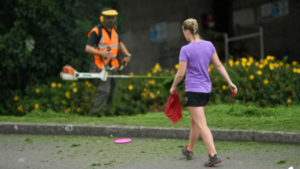 Disc golf as a sport relies on its players to self-referee and we help legitimize our sport when we do so courteously. *Our round is over. Now what? Give yourself a pat on the back. You did it! You and your cardmates will carefully count scores. If you miscount your score and it is turned in with an incorrect score, you will receive whatever your actual score is plus two penalty strokes. The person who won the card with the lowest score turns the card in to the tournament officials. If it is the first round of a two round day, you will have a lunch break. 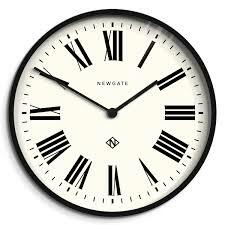 Be sure to ask what you start time will be and check your starting hole on the board between rounds. If it is the final round of the event, wait and see where you are at in the standings and collect any winnings. Don’t let any of this overwhelm you. 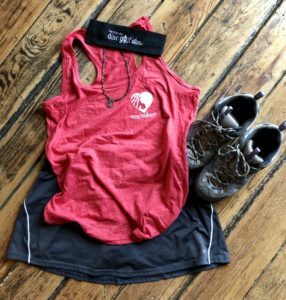 In all reality, you will find even tournament disc golf can be fun and relaxed. You and your cardmates will find a flow that works for you in most cases. Be respectful to your course and cardmates and take it one throw at a time. If you have fun, you’ll never feel like you’ve “lost”.